Misc. USDA lists as FAC (facultative): equally likely to occur in wetlands (estimated probability 34% - 66%) or non-wetlands. 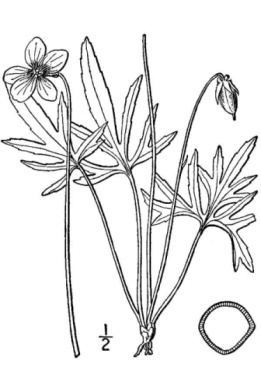 Stone states that this "form of the cut-leaved group was first recognized by Dr. N.L Britton, Director of the New York Botanic Garden, formerly botanist to the New Jersey Geological Survey and author of the Catalogue of New Jersey Plants, 1888" (567). 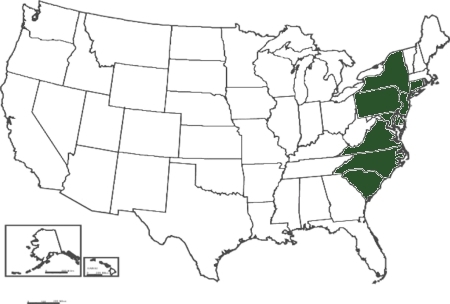 Variety brittoniana is listed by NJ Natural Heritage database as S3; while variety pectinata is listed as SH (state historical). 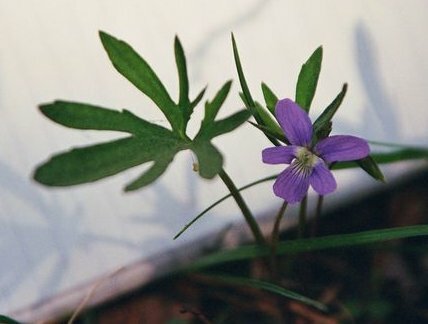 The USDA plant database also shows two varieties; however many botanists currently consider pectinata to be a forma of brittoniana rather than a separate variety. (Boissiera 53:9-126. 1997).